Are you searching for SEO specialist in Nepal? You are at the right place. My self Asheh Pokhrel is ready to give you SEO service with different packages. There are multiple packages for SEO. The detail of packages will be provided to you if you contact me personally. 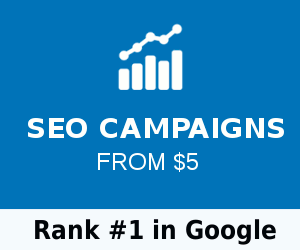 You will be provided weekly and monthly SEO report. Both on-page and off-page optimization technique will be used to optimize your site. I have experience of optimizing the trekking sites and manpower agencies sites, where there is large competition in term of SEO in Nepal. My Expertize as a web developer and SEO specialist in Nepal will be helping you to promote your site professionally. You can also contact be to develop your SEO friendly website. It is necessary to consider different SEO factors while designing and developing the website. So, I will be developing your mobile responsive site following all the SEO standards. I will be designing and developing both static and dynamic website for your business promotion online. Besides website development and promotion. I am ready to share my Expertize with others. I have experience of giving SEO training to different professionals. It is better if you are promoting your business by yourself. So, you can contact me for Advance SEO training. I feel pleasure to answer your questions. You can drop the comment in the contact section of this website. You can also contact me directly through my cell or email. The details about pricing will be discussed through direct contact. Its me Ashesh Pokhrel. I am having research on digital consumer behavior which will be helping for e-business in this modern era. Hi to all, how is everything, I think every one is getting more from this web site, and your viws are nice designed foor new visitors. Who is Nepali vegetable seller(#Tarkariwali)?